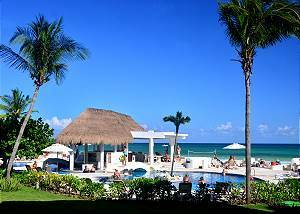 2 bedroom condo with spectacular Caribbean views with pool in the Xaman Ha condo complex located in the gated community of Playacar Phase 1. 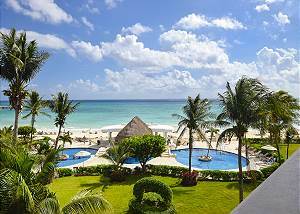 Gaze at the spectacular view from your fully-equipped, 2-bedroom ground floor condo in the quiet Xaman-Ha gated oceanfront community, relax by the pristine pool, or enjoy a 3-minute walk on the white sand beach to the famous 5th Avenue shopping street. 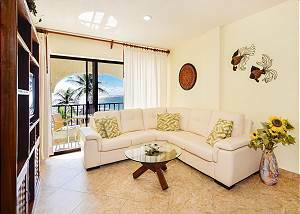 This two-bedroom vacation condo is on the ground floor of Xaman Ha in the quiet community of Playacar. The beach location can’t be beat! You’re across the street from Mayan ruins. 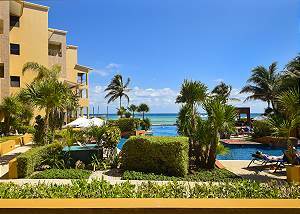 This recently-renovated vacation condo has amazing central views of the beautifully-groomed grounds and Caribbean Sea beyond! 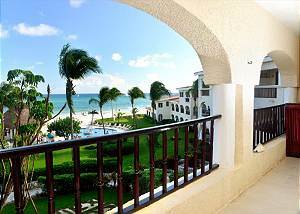 Stunningly beautiful beachfront condo; sleeps 6. Spacious, open layout with sea views from kitchen/dining/living area. Exclusive, gorgeous, well-laid-out. 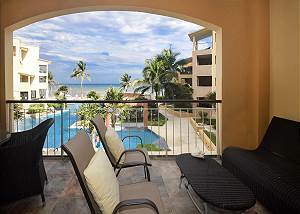 Spacious modern condo with beach view; large private terrace. Sleeps 6. Master bath features bidet, bathtub & rain shower. Plush & well decorated.